Earlier this month, the National Commission on Physician Payment Reform released a report(physicianpaymentcommission.org) that listed the four factors it singled out as the biggest drivers of high health care system spending. Topping the list was fee-for-service reimbursement. The commission recommended that payers should largely eliminate stand-alone fee-for-service payments to medical practices over the next five years, blaming the scheme's inherent inefficiencies and negative incentives toward more care. Instead, the commission advocated "an approach based on quality and value" and "fixed-payment models." Does this mean that the commission expects fee-for-service to disappear in five years? Not necessarily. In fact, the commission said it expects that "fee-for-service will remain an important mode of payment into the future," which is why it also has recommendations on how to "recalibrate" it in the interim. The commission's report adds to the chorus of those advocating for a reduced role for fee-for-service in the future of physician payment. 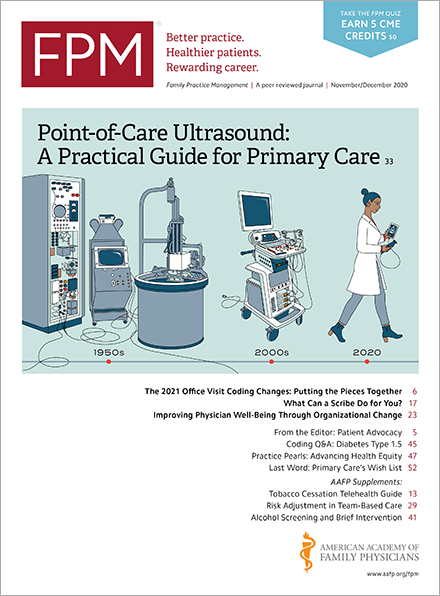 Medicare is moving toward value-based payment and experimenting with blended payment approaches in approaches in its Comprehensive Primary Care Initiative(innovation.cms.gov). Other payers are doing the same. While there is no suggestion that we will ever completely cure ourselves of fee-for-service, there is every indication that it is a treatable condition whose adverse effects, especially on primary care physicians’ quality of life, can be reduced.